As it happens, Steve and I were actually at film school together (AFTRS) back in the mid-90’s, and Steve’s a fantastic writer. Some of his screen credits are here. The whole novel (Combustion) is terrific, but I wanted to point out an extract where Steve does a brilliant job of illustrating just how Memetics works, in terms of combining two memes (ideas), in creating a movie pitch. Or – in other words, Boden’s (2004) idea of `combinatorial creativity’ (i.e. : combine two ideas to get a great new idea), or Koestler’s idea of bisociation (same thing – from his amazing 1964 book The Act of Creation). 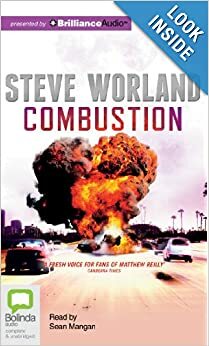 Combustion by Steve Worland, Penguin, New York, 2013. 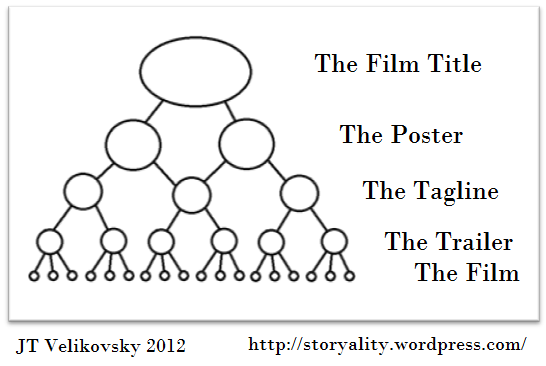 This is a perfect example of how creativity (and especially – ideas for movie stories) works. Note that Night of the Living Dead (1968) is a top 20 RoI movie. As is top 20 RoI film The Evil Dead (1981) which uses the idea (meme) of zombies… Note that Shaun of the Dead combines the idea of a `slacker sitcom’ with zombies. The point here is that: by combining two very old, very viral memes you can come up with a new viral meme. This is how memes work in culture. And cultural evolution. Note how Steve says you mash them together… see also the short video here on how Everything Is A Mashup: Creativity. And – you can see how each of the Top 20 RoI Movies combine some very old – and very viral – memes. 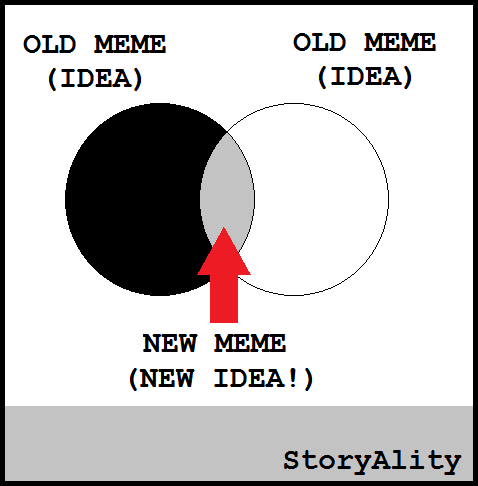 So anyway – Writers – happy meme-making…!